I have made many of Ellie Krieger’s recipes and tonight a pork chop and slaw dinner perfect for our glorious fall weather and great fall apple time. Combine the 3 teaspoons of the fresh sage or 1 teaspoon dried, garlic, 1/2 teaspoon of salt and a few grinds of fresh pepper. Rub this mixture all over the pork chops and let the chops sit at room temperature for 10 minutes. Meanwhile, thinly slice the onion, apple and cabbage and julienne the carrots. Heat 1 teaspoon of the oil in a large nonstick frying pan until hot but not smoking. Add the chops and brown on both sides, 1 to 2 minutes per side. Remove. Carefully wipe out the pan. Heat the remaining teaspoon oil over moderate heat and add the onion, apples and remaining teaspoon fresh sage or 1/2 teaspoon dried. Cook, stirring occasionally, until the mixture is soft and golden brown, 4 to 5 minutes. 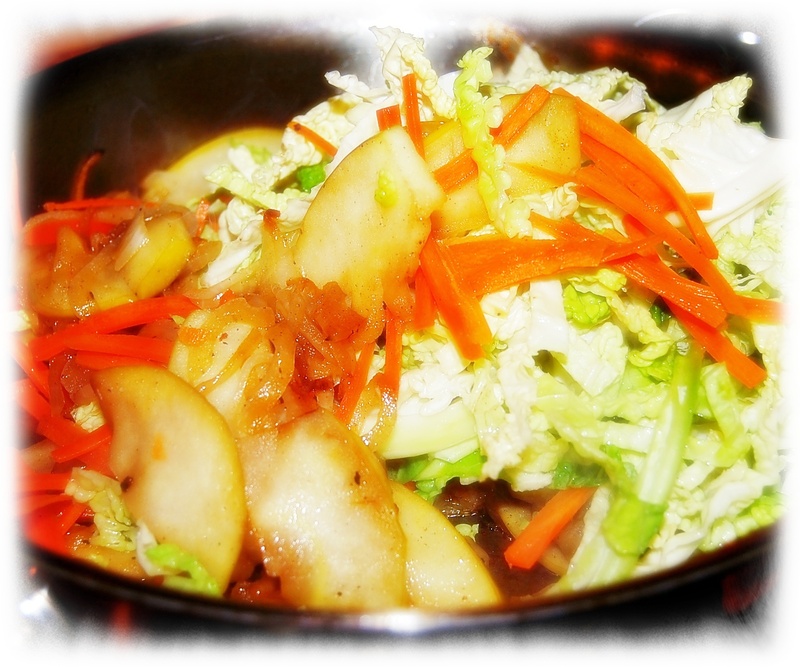 Add the cabbage, carrots, vinegar and 1/2 teaspoon salt and continue cooking until the cabbage and carrots begin to soften, about 4-5 minutes. Add chicken broth and return chops to the pan and nestle them into the vegetables. Cover and cook just until the pork chops are just slightly blush in the center, 5 to 7 minutes longer. 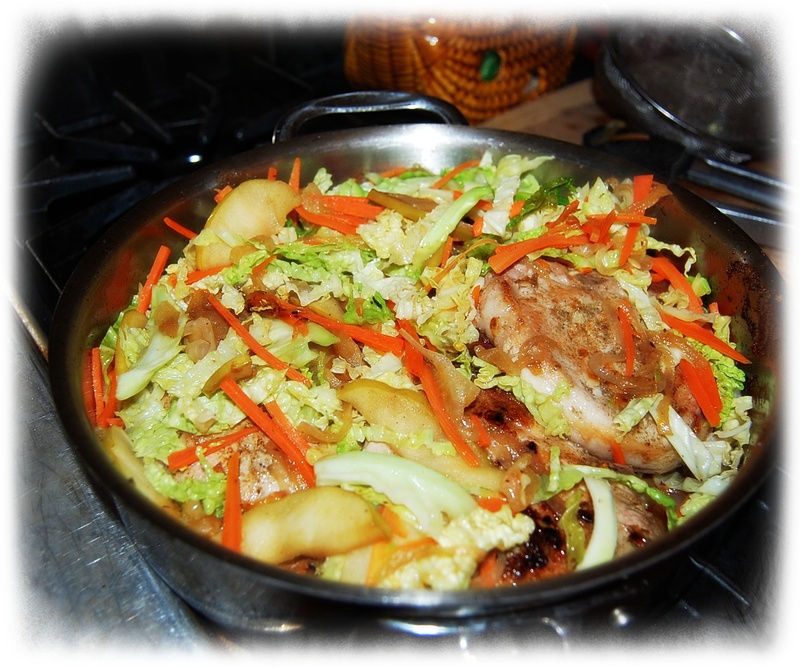 To serve, arrange the slaw on plates and top with a pork chop and pan juices.